For nearly 30 years, Taner Akçam has been one of the foremost proponents and a key intellectual of dialogue between Armenians and Turks. 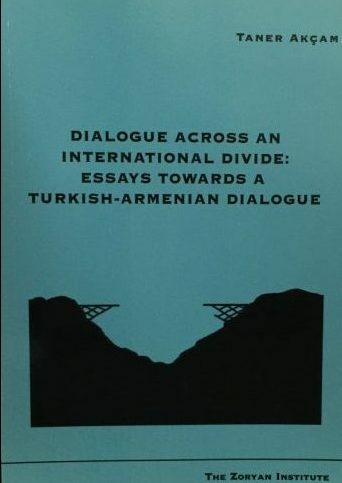 A Dialogue Across An International Divide: Essays Towards A Turkish-Armenian Dialogue offers a rich and accessible introduction to the five fundamental taboos on which the Turkish Republic was founded. Thoughtfully meticulous, Akçam unfolds an expansive history that touches on the lack of historical consciousness in Turkey, and more, its contribution to the persistent and pervasive denial of the first genocide of the twentieth century, the Armenian Genocide. Inspired by the questions that transpired following the International Conference on the Problems of Genocide organized by the Zoryan Institute in 1995 in Yerevan, Akçam sought to examine the obstacles, the problems, and the possibilities for overcoming denial narratives. In the process, it attempts to make a contribution to the process of dialogue between Turks and Armenians.